At Hairdressing Claims, we’re all about promoting safe, responsible hairdressing and hair styling whether you’re visiting a salon or DIY-ing at home. As experts in claims against hairdressers, we’ve seen lots of serious hair and scalp injuries resulting from negligent hairdressing or misuse of styling products. Believe us, you really don’t want a serious hair disaster to happen to you. That’s why we’re sharing news about the urgent recall by the European Commission of Brazilian Blowout, a hair straightening product that’s been found to contain 35 times the allowed concentration limit of the chemical methylene glycol. You see, when methylene glycol is used in smoothing solutions, it can release a toxic substance called formaldehyde which is capable of causing cancer. The permitted concentration of methylene glycol is 0.2%. Brazilian Blowout measures 7%, 35 times more. Due to its serious risk to health, anyone who’s bought Brazilian Blowout can receive a full refund even without a receipt. 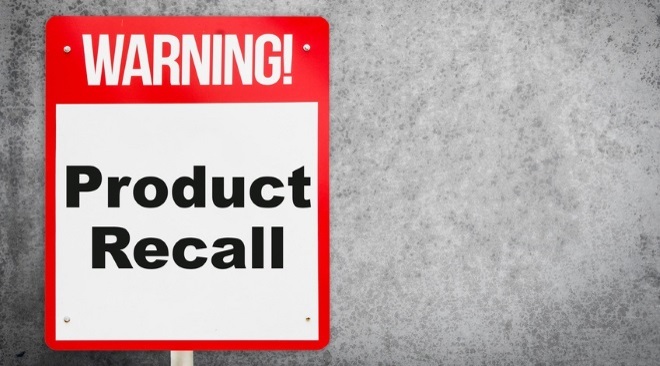 Find out more on the Recall Alert website. On the same subject, undergoing Brazilian hair straightening at a hairdressing salon also poses health risks which it’s important to be aware of beforehand. We’ve written about this previously. In our article titled “Everything you did (and didn’t!) want to know about keratin treatments”, we describe how the straightening procedure is performed and advise to check exactly what’s contained within the formula your stylist is using. Despite the best due diligence, if you end up suffering harm to your hair or scalp during a Brazilian hair treatment, our legal team are on hand to help. Get in touch by emailing enquiries@hairdressingclaims.co.uk, calling 0800 970 9102 from a landline for free, phoning 0333 202 6560 from a mobile or completing our online enquiry form. Personal information you enter on this website such as your name and email address mean that you agree to being contacted by us to provide the information you request. We will not disclose any information you provide about yourself to any third parties unless we have to do so in the course of your matter if you become a client. We are aware of and we will comply with our obligations under current data protection legislation in the UK and the Solicitors Code of Conduct. If you have any questions about our use of your personal details then please contact us at enquiries@hairdressingclaims.co.uk. When someone visits www.hairdressingclaims.com we use a third party service, Google Analytics to collect standard internet log information and details about how visitors use this site. This provides us with important information that can enable the site to work better. This information is only processed in a way which does not identify anyone. We do not make, and do not allow Google to make, any attempt to find out the identities of those visiting our website. © 2017 Hairdressing Claims. All rights reserved.